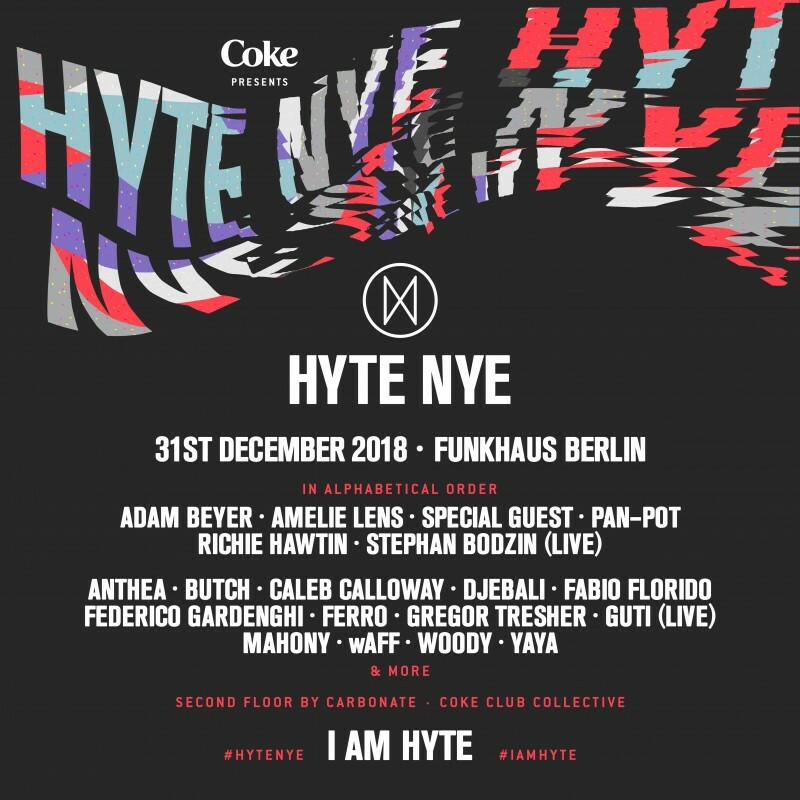 HYTE NYE Berlin 2018! 31. December 2018! Tickets on sale now! September 25, 2018 Comments Off on HYTE NYE Berlin 2018! 31. December 2018! Tickets on sale now! After a globe-trotting year of parties, HYTE returns to Funkhaus on New Year’s Eve 2018 for a 24-hour marathon with another carefully curated line-up of established talents and exciting new artists. Playing at the huge and iconic venue will be playing Adam Beyer, Amelie Lens, Anthea, Butch, Caleb Calloway, Special Guest, Djebali, Fabio Florido, Gregor Tresher, Guti live, Mahony, Pan-Pot, Richie Hawtin, Stephan Bodzin, wAFF, Woody, Yaya and more to be announced. Funkhaus is a colossal and inspiring East German structure dating back to 1951 that used to be the largest radio-broadcasting site in the world, and today is a treasure trove for all sorts of artists. It mixes cutting-edge technology with cavernous industrial halls. What’s more, the construction and enhancement of the Shedhalle has been going on for a year now, and will all be finished for this event.